NEWARK, Del. 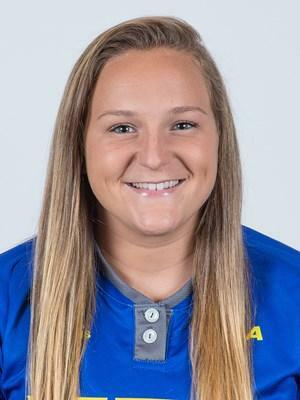 – Delaware mounted a pair of rallies in the final two innings but fell just short as the Blue Hens dropped a 6-4 verdict to Towson Sunday afternoon in the rubber game of the teams’ weekend series. Towson (16-19, 3-6 CAA) opened the scoring in the top of the first when Nicole Stockinger belted a two-run homer, before Hanna Garber led off with a bunt single and eventually scored on a Tigers throwing error to put Delaware (16-20, 3-6 CAA) on the board in the bottom half. Riley Thies hit a sacrifice fly in the top of the third, while two more runs scored on a Blue Hen error, to make it a 5-1 game. Stockinger then crushed her second homer of the day the following frame to increase Towson’s lead to five. 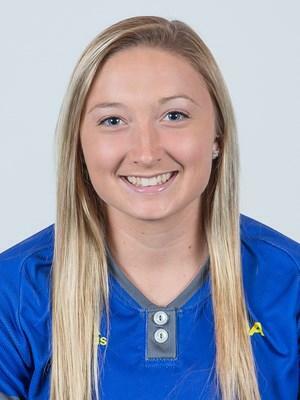 The Blue Hens started their comeback in the bottom of the sixth, when Brooke Glanden (Lake Forest) smacked her fifth home run of the season over the fence in rightcenter. Delaware then loaded the bases with two down following two walks and a hit batter, but Garber was retired on a flyout to right as Towson maintained its four-run advantage. Halle Kisamore doubled and Brittney Mendoza singled to open the bottom of the seventh, and one out later both runners crossed the plate when Glanden laced a single to rightcenter. Following a fielder’s choice, Reyna de Jesus walked to put the tying runners on base, but Towson pitcher Sara Johnson struck out Katie Stahre (Lake Forest) to end the game. Glanden finished 2 for 4 at the plate with three RBI, while Garber and Kisamore also went 2 for 4 with a run scored on the day. Stahre allowed just one run on five hits during six relief innings in the circle for Delaware.